USA SL1L Soloist, Left-Handed Electric Guitar from Jackson in the USA Select series. 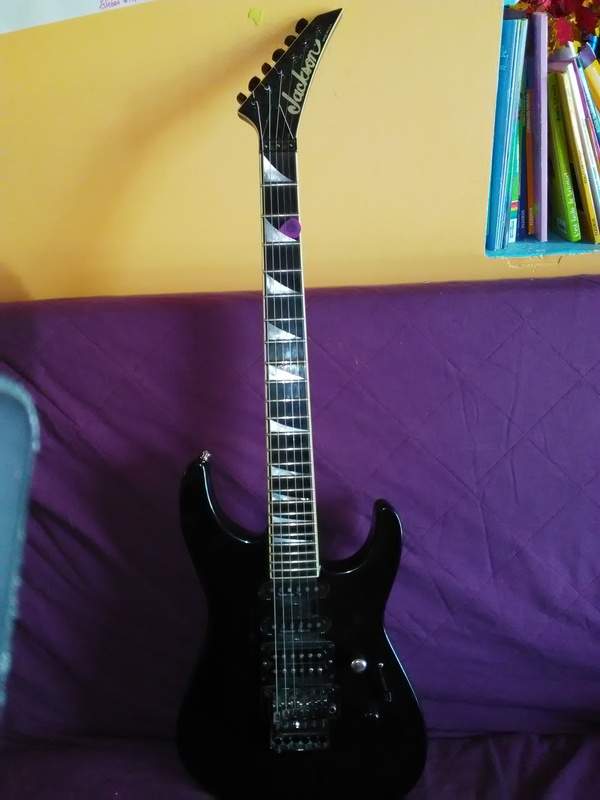 tjon901's review"Ultimate shred guitar for leftys"
Jackson is one of the few companies that put out all of their high end models in left handed as well as right handed. This is good because their high end models are great. This is the grandfather of all modern shred guitars. 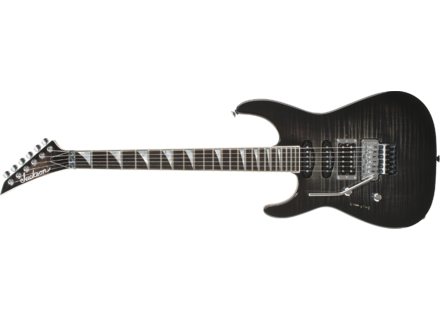 This guitar features the traditional shred Jackson layout. This guitar has an alder body with a neck through maple neck. The fretboard is ebony with 24 jumbo frets and sharkfin inlays. The fretboard has Jacksons awesome compound radius design. Up top you get a locking nut for the original Floyd Rose down at the bottom. The pickups are Seymour Duncans all around in an HSS configuration. The bridge pickups is a JB while the neck and middle are classic stack stacked humbuckers. The controls are typical with a volume and tone with a 5 way blade selector. These guitars have been some of the best playing guitars since the 80s. They have a real old school shred quality to them. With the compound radius fretboard you get great playability on both ends of the neck. With the compound radius both ends of the neck have a different feel and different radius. The low end of the neck by the headstock has a rounder radius which makes playing chords easier and more comfortable. On the higher part of the neck by the pickups the radius is much flatter. This lets you get a really comfortable action up by where you would be playing leads. 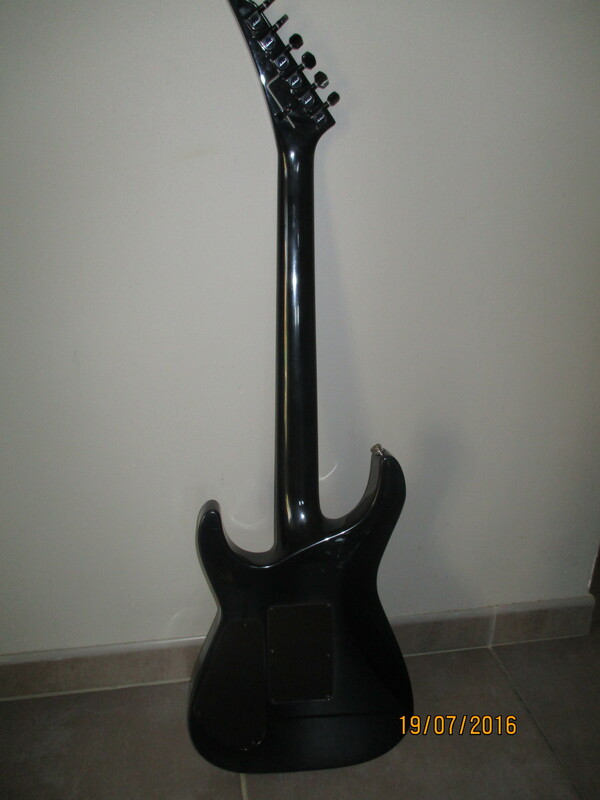 This with the neck through design means there is nothing getting in the way of your playing. HSS is not my favorite configuration but it is way better than SSS atleast. 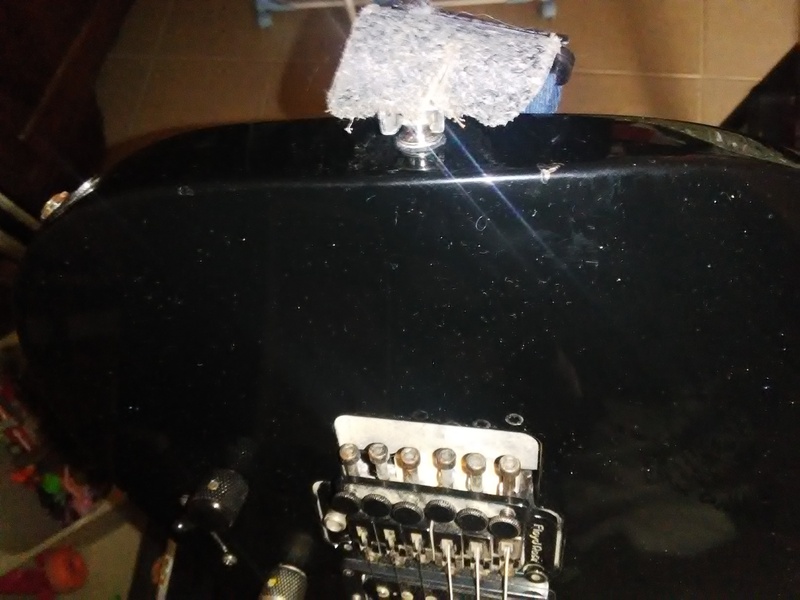 The pickups they put in this guitar are good nontheless. The natural tone of this guitar is on the brighter end with the alder body and neck through maple neck. The JB with the stacked humbuckers give you buckets of tone and tons of options when it comes to sound. The stacked humbuckers have sort of a single coilish sound but without all the noise. The JB in the bridge is a classic bridge position Seymour Duncan. It is one of the best hot rodded PAF designs on the market. You can do anything from metal to blues with the JB. The stacked humbuckers are a great alternative to real single coils. They still retain a single coil vibe but are as quiet as a humbucker. I am not the biggest stacked humbucker fan. 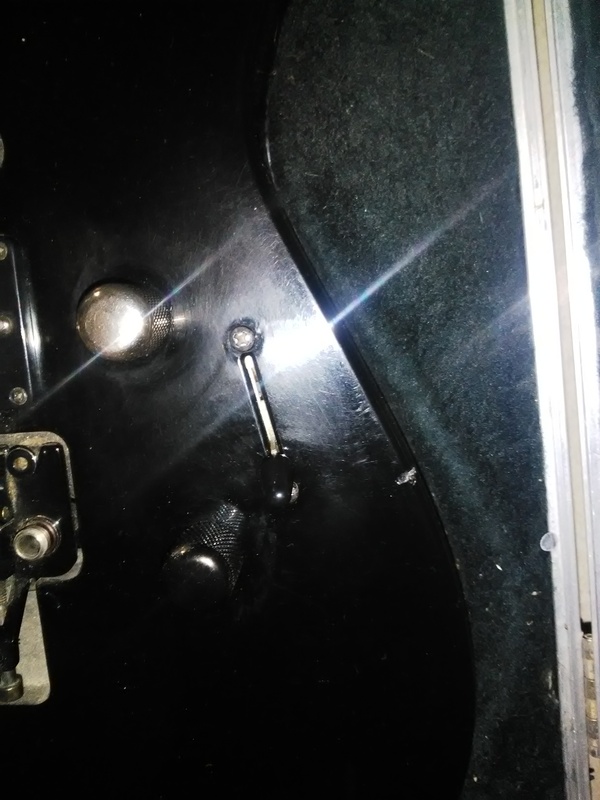 They dont really have the output of a real humbucker. I think they just came up with them so they could have a quiet pickup that looks like a single coils. I would have preferred some rail mini humbuckers in the neck and middle to match better with the JB. Its great that Jackson puts out some high end lefty guitars for players. Most company just put out their beginner junk for lefties with no mid to high end stuff. Now left handed people can enjoy the great playability and modern classic tone of a Jackson Soloist SL1. This guitar is one of the few 80s models that are still made today with hardly any changes to the design. There isnt much you could change anyway the design was pretty much perfect from the beginning.